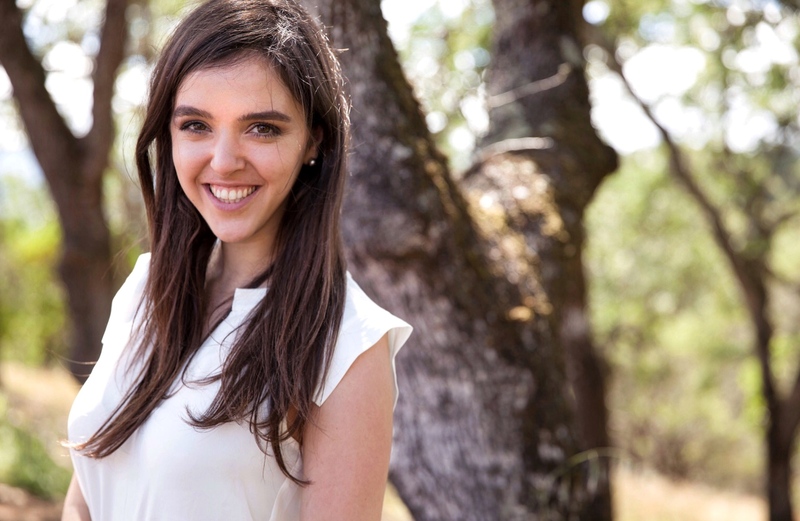 When she was 13, Erin Schrode co-founded Teens Turning Green, a global movement that educates and inspires youth globally, advocating for environmentally sustainable and socially conscious consumer choices. In 2013, Turning Green launched a lunch program that works with local food providers to supply local, healthy, and affordable food to Marin City School, where 95% of students qualify for free or reduced lunches. Her advocacy for environmental consciousness and social justice has led her around the world. And now, at age 25, Marin County’s Erin Schrode could be the youngest woman ever to be elected to Congress. She talks with Conscious Connection about her recent bid for congressional candidacy in California’s District 2. Conscious Connection: Tell me a little bit about what inspired you to run for U.S. Congress at your age? Erin Schrode: I’ve been involved in environmental stakes for over a decade. I’ve had the chance to inspire and mobilize millions of young people and the greater public in the California Bay Area and all around the world. I’ve had the opportunity to take on environmental and social causes, primarily through nonprofit international agencies and businesses. I spent the majority of my university career abroad, working on recycling infrastructure in Africa, and peacebuilding through eco-education in the Middle East. When I came back, I was working with corporations, with “the big guys,” around how businesses can make and communicate environmental changes. However, I missed working with students and young people on the ground. In 2013 we launched a school lunch program in the district. It’s 100% fresh, local, organic, seasonal, non GMO food. It’s within budget and surpasses nutritional guidelines. That, for me, is a tremendous point of pride. I learned more about the policy around access to food in early childhood, and around nutrition and income inequality. And I’ve never been one who can sit idly by. After that, and after working with people affected by the refugee crisis, I saw in an acute way that policy is impeding human beings from being able to pursue any paths forward, any future. My ego is not so big that I think that I can singlehandedly solve the perils of the world. But just because I can’t do everything doesn’t mean I will not do something. And I really believe my role is on the policy side of things. I believe that we need to make change. I don’t fit the mold of politician, but there’s nothing that is more worth my time and energy. Not just to inspire and mobilize, but to deliver solutions and to shine light on the issues that I care about, like sustainability, conscious consumption, and environmental justice. That is what I am now able to bring to the forefront of policy issues. Conscious Connection: I want to talk about your three pillars that you’re running on: environmental health, the future of education and work, and human rights. Can you elaborate a little bit on those pillars? Erin Schrode: We spent a lot of time ideating around my kitchen table about the issues that I’m passionate about, the issues I’m best fit to lead, and the issues that our country needs action upon. For me, environment is my be-all-end-all. We started this campaign around the bioaccumulation of toxins in one’s body. It’s about mitigating risk, focusing on food, body care, and health. And it’s about reducing environmental impact from a waste point of view. Environmental issues concern public health. I’m really passionate about soil and carbon sequestration. It’s not just a way to mitigate further climate damage or prepare for the impact of climate change. It’s a means to actually reverse environmental damage. We have all the technology and know-how to sequester carbon, to remove that from our atmosphere right now. And in a district where we have such rich agricultural land, that opportunity is tremendous. One of my catchphrases is: “Soil is the new bottom line.” I am passionate about dirt in a way that perplexes people. Bringing that to the forefront as a viable economic and environmental option with policy is huge for me. From a health standpoint, we need toxin reform. There hasn’t been reform in decades. This is about parents protecting their kids, who are most susceptible to even small quantities of this toxic exposure. I’m going to really push for legislation there. I also believe in transparency in labelling, and have been actively fighting for that. We have to put forth that consumer information to better equip people to make a healthy choice. Learning and the future of work – this is about the accessibility of education. Here in my own district’s public schools, we have a huge problem with achievement gaps with low income students. And there’s no excuse for that. We must address it. It’s also about the affordability of higher education. I got scholarships to NYU and I graduated with debt. For many, that is absolutely crippling. It renders people helpless. It forces them to go into career paths that may not be how they’re best suited to serve the public. So how do we change the student loan service and debt forgiveness system at the national level? How do we equip people with the tools they need to succeed and to become agents of economic prosperity? And the third: human rights. We are the only industrialized nation without paid leave. That’s reprehensible. I will fight in the salt mines for that and for equal pay. I am a woman, and the fact that we are still receiving 79 cents on the dollar is a loss for equality and a loss for our national economy. We need to ensure that gap closes. And women’s rights, women’s access to reproductive health – that’s not something we can let fall to state level. We need to ensure we protect those rights at the federal level. Conscious Connection: For someone such as yourself who’s so busy changing the world, how do you maintain balance? Erin Schrode: I love food. And for me, my time preparing food is sacred. In that respite, there’s nothing else you can do. You’re using both hands. I am a firm believer in preventative health and wellness, and I eat really well. I eat a plant-based diet with a lot of local, organic foods. It keeps me on top of my game mentally as well as physically. I am also blessed to live near Mount Tamalpais in the Bay Area, and hiking up there is quite spectacular and humbling. That fresh air does the body a lot of good. Conscious Connection: As someone who’s been really successful having an impact doing what you’re passionate about, what is your advice for others who want to do the same? Erin Schrode: Find that one thing that sparks your passion. That one thing you will stay up too late working on, that you can excite others around. But then ultimately, just do one thing. Begin the process. Because it’s infectious, and you can stand on those small victories. You can replicate them. Action will resonate with others more than words, more than a click, more than a share. I think in today’s digital landscape, it’s pivotal to remember that we live in the real world, and that is where we must take action.